Shenandoah, a thriving base amidst the turmoil that is called 2b2t. Shenandoah first began in early 2014 by Jesse_number6. Seeking refuge after having his base griefed, he decided to create a new safe haven. 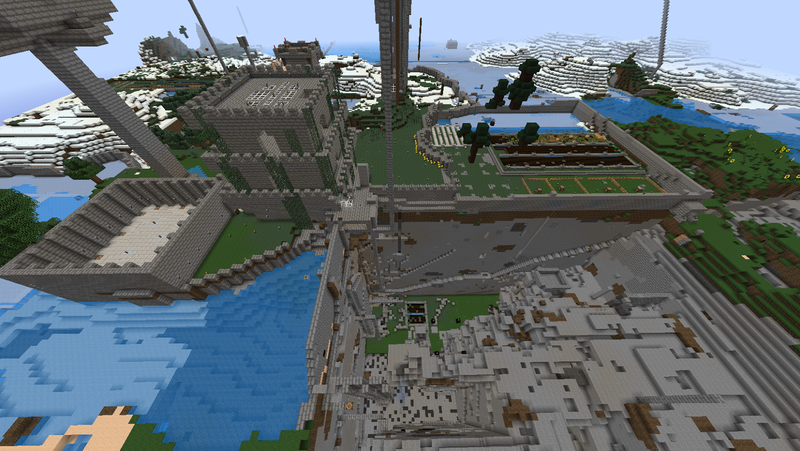 Construction began first on the Great reception Hall, then on The Castle. The beginning was rough, never enough torches to light the way, never enough supplies and most importantly, never enough people. Then, something miraculous happened. The castle began to grow and as the castle grew, the population grew. Starting with EXODISS, one of the bases primary founders, many more people began to come. Suddenly things began to grow. 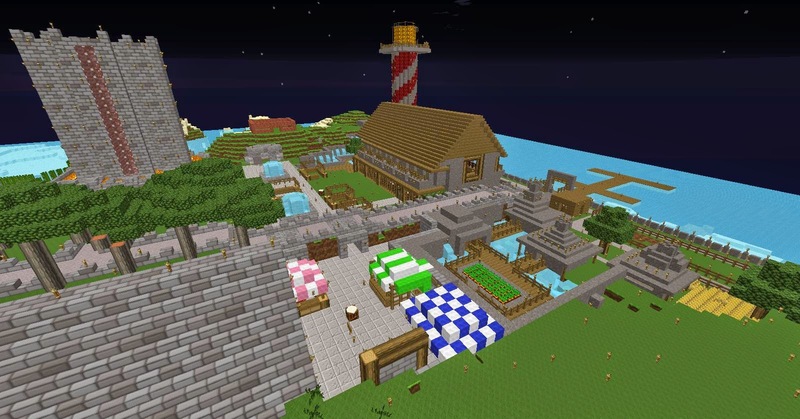 A market for trading was built, more houses, an iron golem farm, a larger barn, and so much more began. With the appearance of many more people, a group needed to be formed. A name for the people who reside within the walls of the safe heaven of Shenandoah. The Legion of Shenandoah it was named. A group of people dedicated to maintaining peace and order in the anarchy of 2b2t. All are welcome. All are invited. All will survive. Hi everyone, hope you've all had a nice holiday! Today I'm writing a fairly brief post as I have had an extremely busy weekend and haven't really had a chance to '2b2t it up' at all. I just finished rendering a montage for the second gape, 'Gape 2.0' A.K.A 'Caleesii's Gape'. I hope you find it entertaining! It all began after Gape 1.0 was lavacasted for a second, more destructive kind. 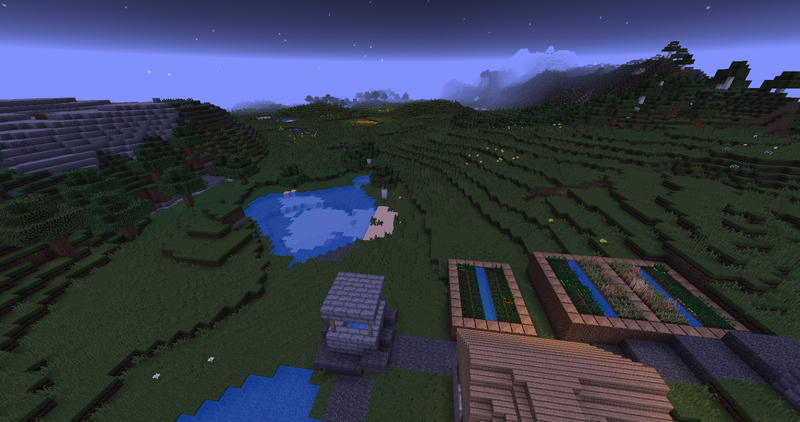 New terrain was scoped out, far away from spawn. The square was marked out at around 128 x 128 and it was estimated that we had around 1,400,000 blocks to dig out. As you can see, it all went very well with a lot of the area dug out. After a couple of months though, with a pigfarm, rail duplicator and horse breeding centre all created and more, interest was in decline. 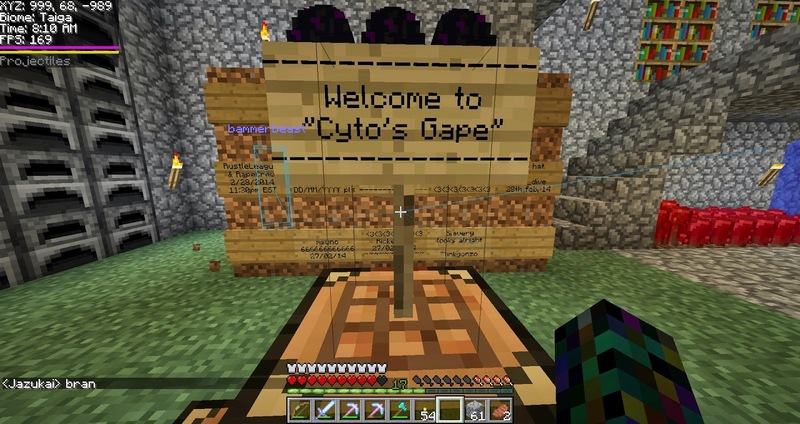 This is when an invitation came to some of the players at Gape 2.0 about a new, upcoming base featuring many old well-known players. After some time other players from the Gape 2.0 were also invited. This is most likely the last post of 2014 so I wish you all the best and see you in January where I will be posting more frequently (roughly every 2 days) and a lot of video content of my current travels. Hello boys and girls. I'd like to tell you the story of two wonderful, magical places known as 'The Gapes'. Or in layman's terms: a really big hole. 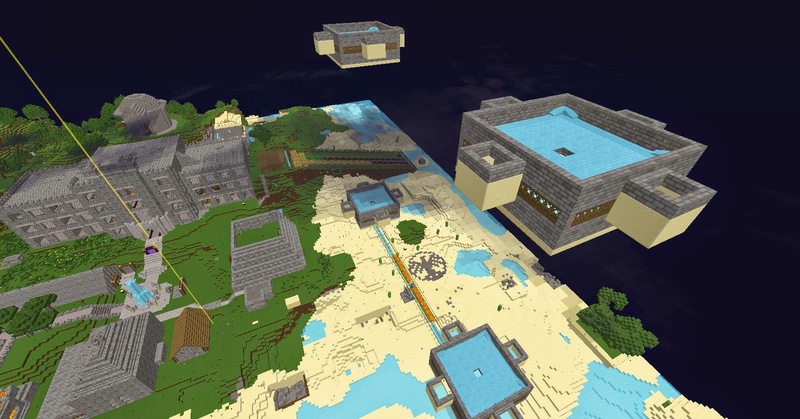 Around February 2014, Victor96 began digging a hole to bedrock. Some players joined him but due to being close to an ocean, progress stopped. The small group of well known players banded together tocreate a gape in a better location, about 100 meters away. It started with the hole being dug, with some chests as storage. 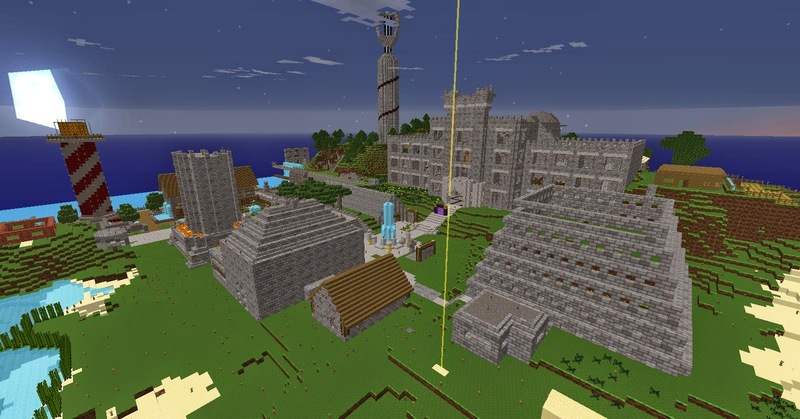 As more players joined, a three storey castle-themed fort was built around X:1000 Y:-1000 that held the players and their items. The hole being dug was around 128 metres by 128. But in true 2b2t fashion, a mix of betrayal, attacks and lavacasts ended the project reasonably quickly. The Gape lay dormant for many, many months. One day, I was at 700 Base and decided to explore. Upon my approach to The Gape, a players name appeared on my radar. I approached with caution, as my current base was mere seconds away. Here I met the self-named player '2b2t' (Who to this day we still don't know their true identity) who explained to me that he had been working on restoring the base. Before long, there were around 9 players at The Gape, breathing life onto it. The base did eventually end up being lavacasted, filling most of the hole with cobble. This did not stop us though, as we picked up our belongings and moved on, far from spawn. I'll be writing about the second Gape in an upcoming post. So for the next few weeks or possible months, this patch of terrain is my new home. You can just about make out the dirt cage I made to trap my horse in temporarily right in the distance. Well I have based with many players and teams in the past on 2b2t, none have really ended up very well. They usually end up looking like the photo below, the end result of a promising base with around 10 others (left) and one from a relatively well known spawn base that I tried to restore. I'm not saying 100% of the time the bases didn't go well as I am currently basing with people on an alt, but historically speaking it could have been better. Such is life on 2b2t. Off I went into the nether to scope out an area still fairly close to spawn but at the same time far enough to be reasonably safe. I'm hoping to build a city out here. Well OK, maybe a small town. My plan is to bring in the style of my favourite base, '700Base' and some of my own ideas and blend them into something quite interesting.